It’s 1983 and you have a brand new Mustang GT. What are you gonna do with it? Drive erratically in a foundry of course. That’s what this car was made to do. There’s nothing more badass than sitting stationary in a shower of sparks. After all, this Mustang is equipped with the legendary 5.0 V8 and you should be able to use it however you want. Even if that means violating any and all OSHA regulations and coming very close to crucibles of molten metal. All those cowards from Chevy and Dodge wouldn’t understand. They haven’t driven a Ford lately. Show everyone that The Boss is back in town with your new Mustang. All the random pointing and disappointed looks from the metal workers aren’t going to stop you from doing burnouts in an active worksite. 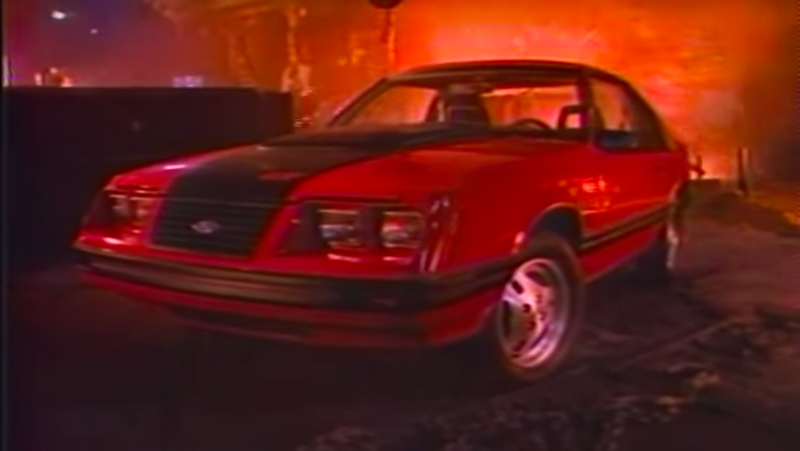 Do you have what it takes to drive a 1983 Ford Mustang GT even if it endangers your life and others? Will you blast through a cloud of toxic vapors as fast as your Mustang can take you? Then this Mustang is for you.